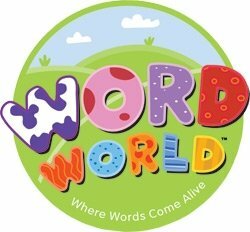 The PBS Kids series WordWorld is a proven teaching aid for anyone wishing to improve the vocabulary skills of preschoolers. This DVD, based on that series, contains four segments that build vocabulary, phonics, spelling, cognitive, letter knowledge and language development. Episodes include “Happy Birthday Dog!”, “Sh-Sh-Shark”, “The Mystery of the Disappearing Pie” and “Snug as a Bug”. Borrow this DVD from our lending library by clicking here. Already a fan of WorldWorld? Check out their games on PBS Kids. This entry was posted in Teaching Tools and tagged vocabulary, word world. Bookmark the permalink.